Dear Readers, eggplant, also known as aubergine in British English is a tropical perennial plant. 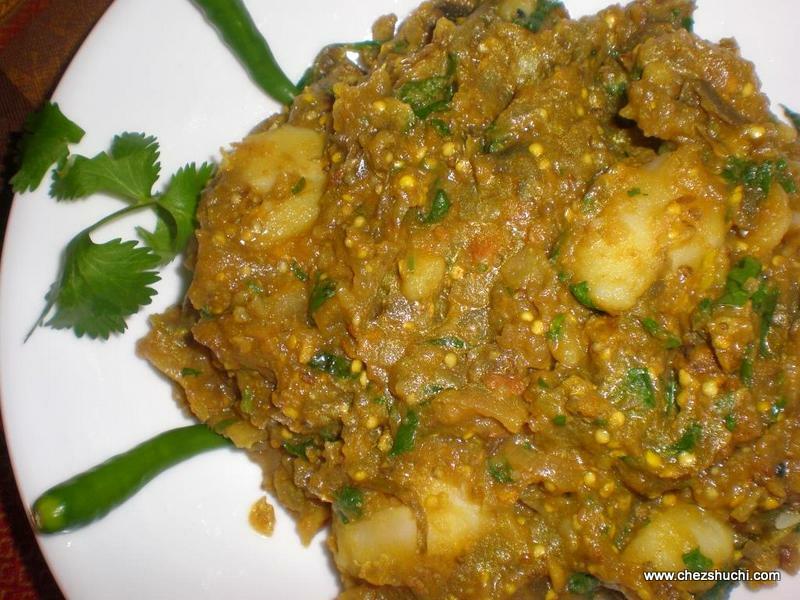 In India, eggplant is commonly called as brinjal or baingan. Eggplant can be easily found in regular super markets in America, however it doesn’t taste as good as fresh eggplants we get in farmers market. Homegrown eggplants taste so good and are so much better in taste. It is much faster to cook homegrown eggplants. In summers or in tropical climate eggplant can be easily grown in home garden. It can be grown on the ground or one can plant them in the container also. There are different varieties of eggplants. You can grow one you like. Eggplant can be easily grown from the seeds. You can also buy an organic baby eggplants plant from your local nursery. You can grow eggplant plants in a big pot or in the ground. 1-2 eggplant plants are more than sufficient for the family of four. In summers eggplant grows very fast. I plant eggplant seeds in small pot when weather turns nice in our part of world. I move the baby plants outside in the ground in the first week of May or when the danger of frost is over and night temperature rises. Lauki seeds showing the growth after 9 days. 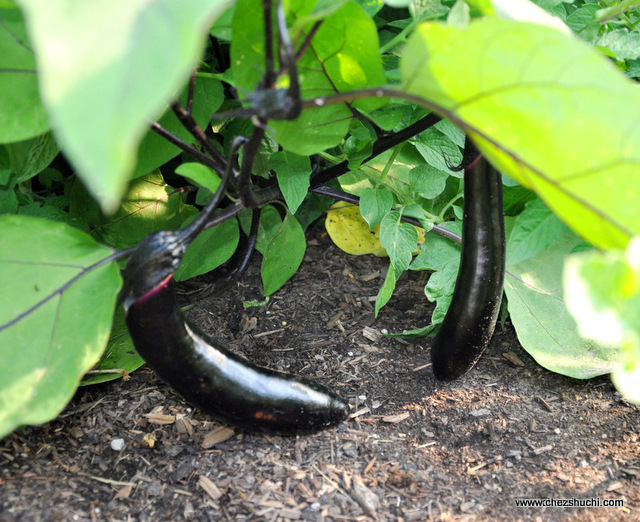 Eggplant plants grows well in warm weather. Usually you will see flowers coming in the plant in about 40 days after the planting. And very soon after the flowers you will see the fruits. If weather is warm you may have your first eggplant in 60-70 days after planting. Very soon after the flowers you will see the fruits. If weather is warm you may have your first eggplant in 60-70 days after planting.